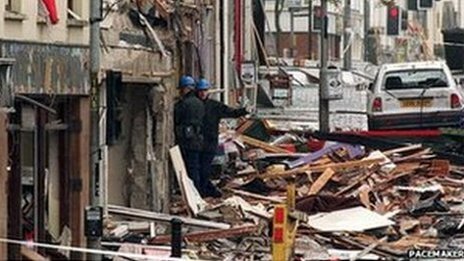 The man accused of murdering 29 people in the 1998 Omagh bomb will be prosecuted, a court has been told. Seamus Daly, 44, is originally from Culloville, County Monaghan, but now has an address at Kilnasaggart Road in Jonesborough, County Armagh. He appeared at Omagh Magistrates' Court via video-link. Mr Daly was one of four men ordered to pay more than £1.5m in damages to the families of those killed in the Real IRA attack in August 1998. He was one of five men named in a BBC Panorama programme, Who Bombed Omagh, in October 2000, that investigated the attack. No-one has ever been convicted of carrying out the bombing in a criminal court. Mr Daly has been in custody since April 2014. A prosecution barrister told the court a substantial amount of evidence relating to mobile phones has been requested from the authorities in the Republic of Ireland, and should be available in six weeks. What was described as "other more complex material" were subject to legal issues that could take a further four months to resolve. A defence lawyer said the prosecution had no new evidence since 1999 and his client had been living openly in Jonesborough at all times yet now faced "the biggest murder trial in British criminal history". The judge remanded Mr Daly into continuing custody until 10 March for a further update on progress in the case. Relatives of four of the victims of the Omagh bombing were in the court for the hearing. 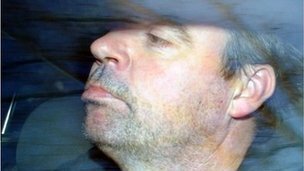 Omagh bomb suspect Seamus Daly was arrested as he attended a maternity unit with his heavily pregnant wife, a court was told. Daly, 43, was held on Monday at a hospital in Newry, Northern Ireland, after a decision to arrest him for 1998 atrocity was taken in consultation with prosecutors at the “highest level”. He claimed to be his own brother when stopped and was only formally identified through fingerprint analysis. 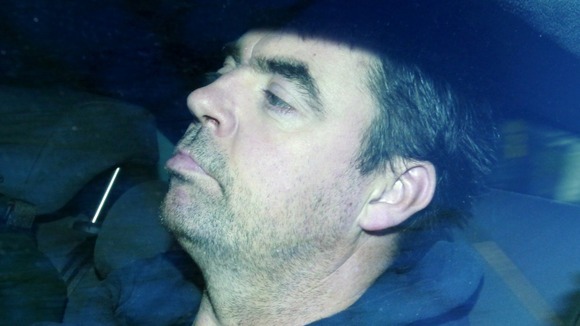 He appeared before Dungannon Magistrates' Court on Friday charged with 29 counts of murder in connection with the bloodiest outrage of the Troubles. The prosecution comes a year after a civil court ruled that Daly was liable for the atrocity. Dungannon magistrates heard that the prosecution case against him is based on phone, forensic and witness evidence. A detective said the decision to charge Daly, originally from Cullaville, Co Monaghan, had been taken in consultation with the "highest level" of Northern Ireland's Public Prosecution Service after reviewing a range of evidence allegedly linking the bricklayer and publican with the August 1998 attack. Daly, who now lives in Jonesborough, Co Armagh, was remanded in custody after deputy District Judge Paul Conway refused a bail application. His lawyer told the court that Friday was the due date for Daly and his wife’s second child. No one has ever been successfully convicted in the criminal courts for the Real IRA bombing in Omagh, Co Tyrone, which happened just months after the Good Friday Agreement. A 500lb car bomb was detonated on Market Street which left 29 people dead and 200 injured. In 2009, bereaved families were forced to take their own action in the civil courts and won a landmark ruling at Belfast High Court when a senior judge found four men, including Daly, liable for the bombing. Daly, along with Michael McKevitt, Liam Campbell and Colm Murphy, were ordered to pay £1.6 million to the families in compensation. Daly and Murphy appealed and were granted a retrial in the civil courts but were found liable for a second time in 2013. Dressed in jeans and a dark grey hooded top, an unshaven Daly did not speak during the half-hour hearing in court. He also faces counts of causing the explosion in Omagh; possession of a bomb in the Co Tyrone market town with intent to endanger life or property; conspiring to cause an explosion in Lisburn, Co Down in April 1998; and possession of the Lisburn bomb with intent. He sat in the dock only yards in front of the public gallery, where Michael Gallagher, whose son 21-year-old Aiden died in the blast, looked on. After the hearing Mr Gallagher said: “This is part of our life for the past 15 and half years and if it's happening we are going to be there, wherever that is. “It was important for our presence for the people, in our case our son Aiden, it was important to be there and represent him because there was no one else going to do it." Mr Gallagher said the latest legal proceedings linked to the case would not sidetrack the families' campaign for a cross-border public inquiry into alleged security failings in the lead-up and aftermath of the attack. "We need the truth," he said.